Today I tried the Parker shavette I got on Wednesday. 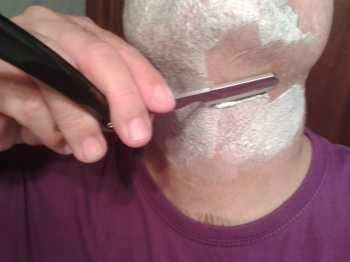 I must say that it is easier to handle for me than the straight razor. 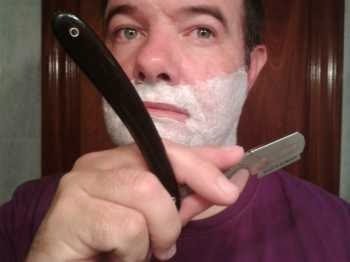 I imagine that on the one hand, the cutting surface of the blade is smaller than the razor and on the other hand I am a tad used to the feel of a blade on my face so I was a bit bolder when using it. 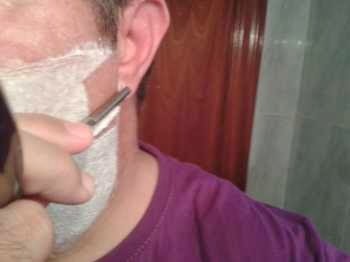 I even dared shave the chin area without any fear. I got a couple of little nicks due to my carelessness, though. 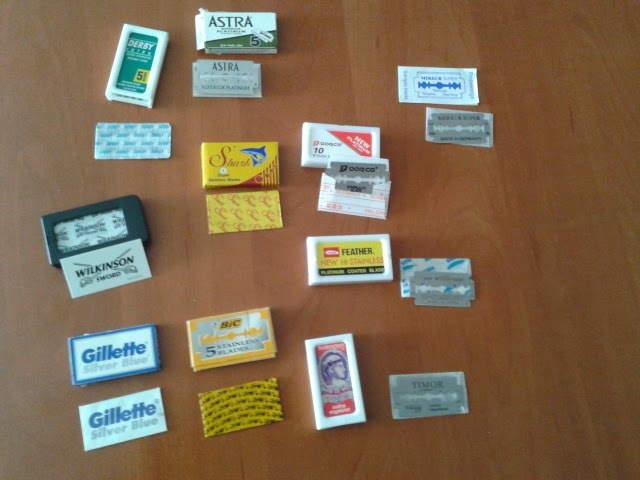 One thing worth noticing is that following MrFrood's advice I chose a mild Merkur blade which was one of the most suitable (in my small collection of blades) for this shaving session. All in all I must say it was a nice experience that I'm willing to repeat soon. About to try the shavette for the first time. Starting with the sideburns as usual. 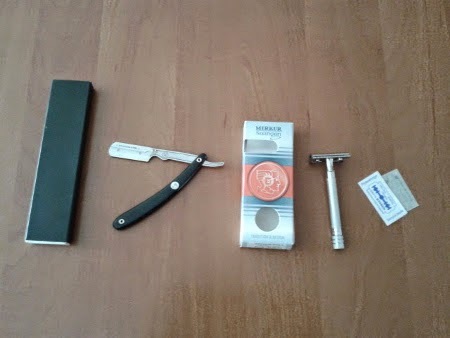 Today I received my new Merkur razor and Parker shavette to add to my collection.